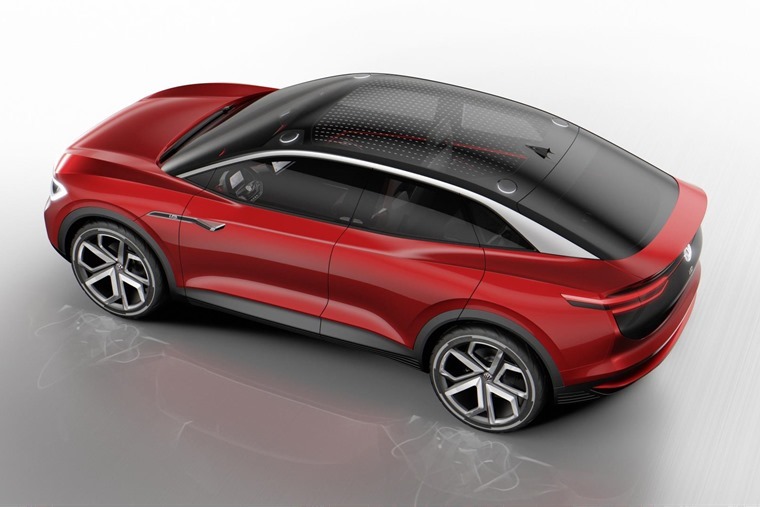 The countdown has begun for a breakthrough in electric mobility, and if Frankfurt Motor Show has revealed anything so far it’s that 2020 could represent the turning point. 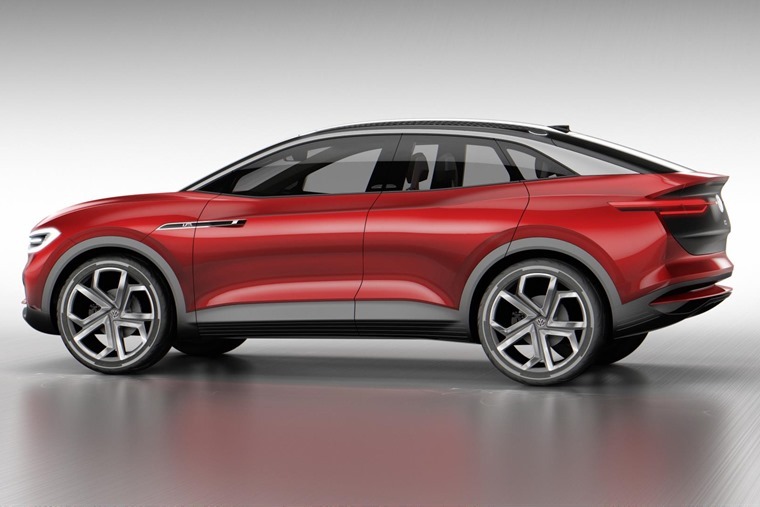 Case in point: Volkswagens all-in development of a new generation of innovative electric vehicles – the I.D., I.D. Buzz and I.D.Crozz – all due in 2020. At their Group Night prior to the show, Volkswagen presented one of the range, and possibly its most important: The I.D. Crozz, an electric concept SUV. 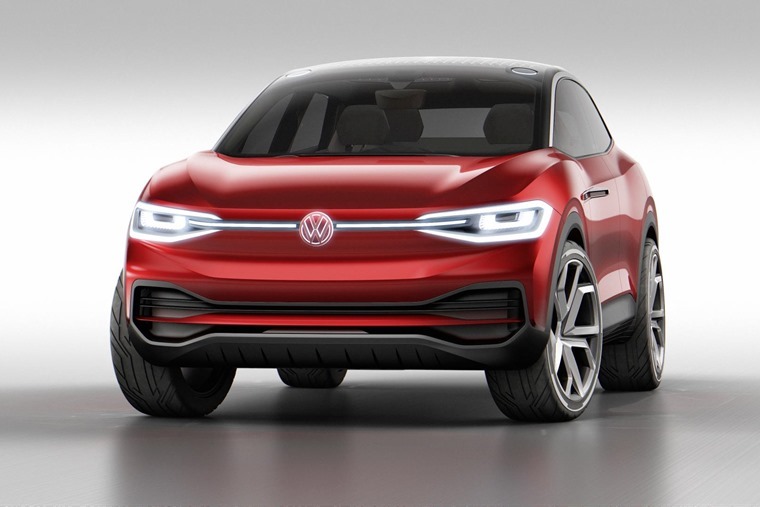 A crossover of an SUV and a four-door coupe, the I.D. Crozz makes a powerful impression with its wide bonnet, cleanly contoured wings and roof with a high-gloss black exterior finish. The striking design of the LEDs of the headlights also point the way towards production and generate an unmistakable light graphic. The I.D. Crozz is a sporty, zero-emission all-round vehicle that is designed to be interactive, and whose electric 4MOTION all-wheel drive system is expected to be as impressive on unpaved trails as it is in adverse weather conditions. One electric motor works at the front axle and one at the rear, and torque distribution is controlled via an 'electric propshaft'. The driving range of the SUEV that outputs 225 kW (system power) and boasts a top speed of 111mph is up to 300 miles (NEDC) on one battery charge. The high-performance battery can be charged to 80% of its energy capacity in 30 minutes using a fast-charging system. An ideal weight distribution between the two axles is achieved by centrally integrating the battery within the I.D. Crozz and having the two drive system units at the front and rear. This enables the SUEV to demonstrate handling characteristics on a par with those of a Golf GTI. Playing a significant role here are the running gear with electronically controlled dampers, a new multi-link rear suspension design and also newly developed MacPherson struts. The interior has been developed to act as an open space, with a superior amount of space and highly versatile seating concept. B-pillars were omitted in the I.D. Crozz so that the large swinging and sliding doors can be opened wide, and it is even possible to transport a crossbike without any trouble. 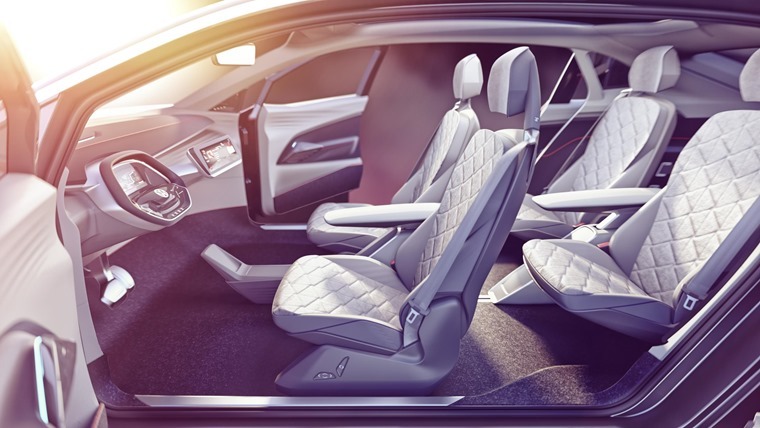 Always ensuring a supply of clean air in the interior, regardless of ambient conditions, is the CleanAir system that has been newly developed by Volkswagen. The menu provides information on the quality of the air in the car and on the system's current activity. In addition, the I.D Crozz is equipped with a new voice assistant, which enables opening and closing of the doors via voice command. It is also possible to activate or deactivate the fully automated driving mode 'I.D. Pilot' by voice instruction. The future generation of the I.D. family will extend the Volkswagen model range. In 2020, Volkswagen will already launch the compact, all-electric, four-door I.D. in the Golf segment, while launching the modern I.D. Crozz in the SUV segment. In addition, the I.D. Buzz – a re-interpretation of the legendary Volkswagen Bulli – will enter the market in 2022. All three I.D. 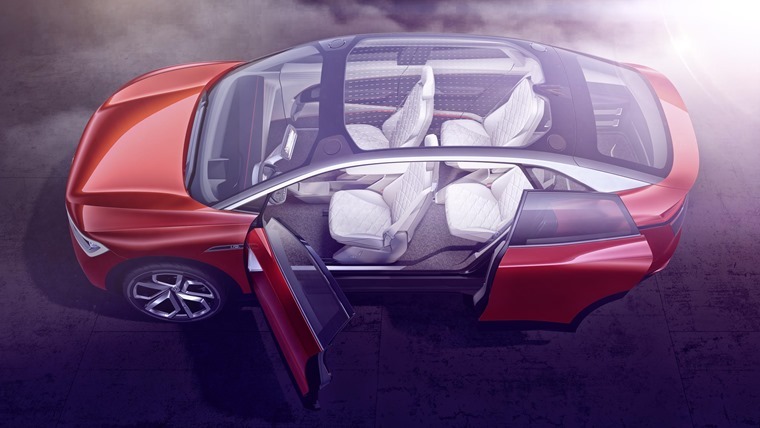 concept cars share the new 'all-electric architecture' that was developed as a common platform. Other characteristics are zero-emission driving ranges up to 372 miles, a large amount of space, compact exterior dimensions and digitalisation of all displays and controls. 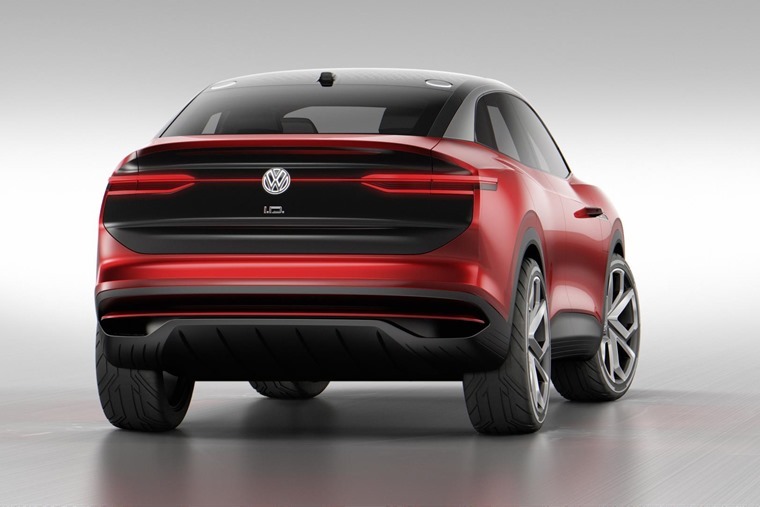 In addition, the new and innovative 'vw.OS' operating system, which enables fast software updates and upgrades, will support each member of the I.D. family – in a way similar to the usual updating methods for smartphones. Dr Herbert Diess, Chairman of the Volkswagen Brand Board of Management, had this to say at the Volkswagen Group Night: "The Volkswagen Brand will be investing 6 billion euros in electric mobility over the next five years. Our task is to make modern technology available to many people. This is especially important in times of technological transformation. “One thing is clear: The Golf of the future must once again be a people's car."